The way metal dental braces will influence the appearance of their smile is a primary concern for those individuals faced with the possibility of wearing them. The thought that it will make their smile less attractive can often be discouraging. The good news for patients is the nearly invisible aligning system, Invisalign®, which does not contain any metal and still helps straighten your teeth quickly. During Invisalign® treatment, your dentist will use custom aligning trays, which he or she will change every few weeks in order to fit the new alignment of your teeth. While the aligning trays are not nearly as visible as metal braces, you also have the option to remove the trays temporarily for special occasions, another benefit of Invisalign® treatment. These Invisalign® benefits have allowed countless patients to report complete satisfaction with the treatment and the results it provides. What kind of bite issues does Invisalign® correct? Both Invisalign® and metal braces correct the same kind of dental issues. The only major differences between the two treatments is how you can barely see the Invisalign® trays and how you have the ability to remove them temporarily should you so desire. Overcrowding: This indicates insufficient space for your teeth to align properly in your mouth. If your teeth are overcrowded, you are at an increased risk or tooth decay and gum disease. Large Gaps: If there are abnormally large gaps between your teeth, your jaw may be growing abnormally or you may be missing one of more of your teeth. Crossbite: This dental issue is the result of one or more upper teeth biting inside your lower teeth, resulting in uneven wear. The uneven wear, in turn, can cause gum disease and bone erosion. Overbite: Here, your upper front teeth will overlap your lower teeth, either partially or fully covering them. If a severe overbite goes uncorrected, you may experience jaw pain or temporomandibular joint disorder (TMJ). Underbite: The inverse of an overbite, where the lower front teeth overlap the upper teeth. Once again, jaw pain and TMJ are common results of this condition if it goes uncorrected. If you want to perfect the alignment of your teeth, you have three major options: the traditional braces and veeners, or Invisalign®. When trying to make a decision, there are a few things you will wish to consider. One treatment may work better than another in certain situations, after all. The major difference between Invisalign® and traditional dental braces, aside from the near invisible appearance, is you are able to remove the aligning trays at will. This provides a convenience, though it also means you need more discipline in order to reap the benefits. The trays themselves are quite comfortable which, in addition to their near invisible appearance, makes it relatively easy on patients to commit. You will get very similar results from both treatments. Most patients and dentists prefer Invisalign® over veneers in most cases, because Invisalign® will actually straighten your teeth. Veneers, on the other hand, are thin covers your dentist will apply permanently to your teeth. In order to remove dental veneers, you would require an alternate cover, as the dentist has to etch your teeth before the veneers. Dental veneers can also break, last less than 20 years, and are also quite the expensive treatment. Before beginning the process of creating the aligning trays, your dentist will determine an initial plan for treatment. This begins with them taking 3D images of your entire jaw, allowing them to see and move specific teeth, view the image from different angles, and try to envision what your jaw might look like in the future. These images work to show your dentist how the Invisalign® treatment will alter your jaw and face. Once they are finished planning, they will create a unique set of aligners for you. The exact number will vary based on the specifics of your case, but 20 to 29 sets per arch is quite common. It will take a little time to adjust to wearing your Invisalign® trays. However, you should wear them as much as possible, though be sure to take them off when drinking or eating, as the food may become trapped between the tray and your teeth, which may result in tooth decay. You will likely need new trays every two weeks as your tooth alignment changes. 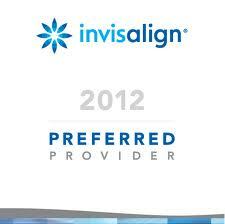 You and your dentist will be able to see the progress between appointments with your own eyes. Invisalign® aligning trays have clearly revolutionized the way dentists approach orthodontics, and is particularly renowned for their comfort and effectiveness. 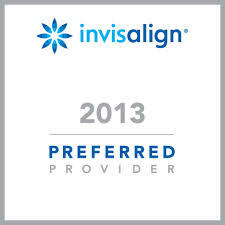 Ask your dentist should you have any questions regarding Invisalign®.